ROME, Jul 3 2017 (IPS) - In 2014 alone, about 11 million young Africans entered the labour market. But many see few opportunities in the agriculture sector and are constrained by a lack of skills, low wages, and limited access to land and financial services. Combined, this makes them more prone to migrate from rural areas. 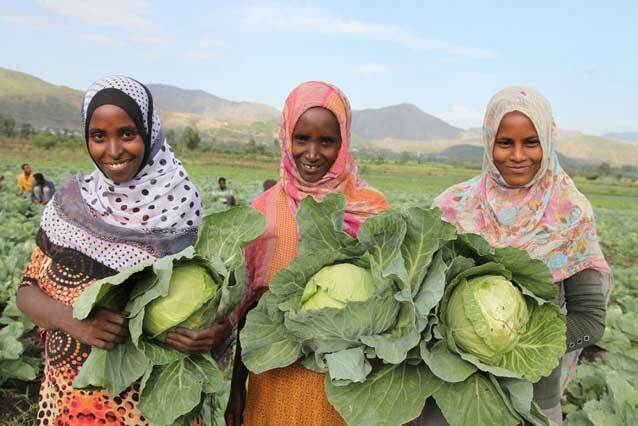 Youth employment should be at the centre of any strategy to face economic and demographic challenges in Africa, the Director-General of the UN Food and Agriculture Organization (FAO) José Graziano da Silva told a joint African Union-European Union meeting in Rome. The one-day meeting, held on July 2, was co-hosted by the African Union Commission, the European Commission and the Estonian Presidency of the EU Council and was attended by Ministers of Agriculture of the African Union and the European Union. Graziano da Silva outlined five steps to engage youth in agriculture and rural development. Firstly, enhance youth participation and leadership in producer organizations and other rural institutions to empower them to engage in policy dialogue. Secondly, stimulate private sector investments to create a modern and dynamic agricultural sector and value chains, and to build infrastructure needed for agricultural investments. Thirdly, provide rural areas with better services such as electricity, education and health. The fourth step is to strengthen the physical, economic, social and political links between small urban centres and their surrounding rural areas. Finally, invest more in Information and Communication Technologies, which has the potential to improve efficiency in some farm work and facilitate access to markets, information and business opportunities. The UN specialised agency is supporting the implementation of many programmes that target youth in rural areas. Uganda, for example, has adopted FAO’s Junior Farmer Field and Life Schools methodology, funded by Norway, Sweden and Belgium. This simple but efficient program teaches vulnerable children and young people about farming and management skills, the UN agency said. As examples, it reports that in Nigeria, it is supporting the design of the National Youth Employment in Agriculture Programme; and FAO and the New Partnership for Africa’s Development have joined forces to increase jobs and business opportunities for young people in rural areas of Benin, Cameroon, Malawi and Niger through a 4 million dollars grant made available by the Africa Solidarity Trust Fund. The conference outcomes will be presented at the Africa-EU Summit in November this year and will guide future work of both the European Commission and the African Union Commission. The joint African Union-European Union meeting in Rome was held on the eve of FAO’s Conference 40th Session on 3-8 July 2017. It is the organisation’s highest governing body and sessions are held every two years. The purpose is to convene the Member Nations at FAO headquarters to review and vote on the Director General’s proposed program of work and budget. Participants will discuss a number of pressing issues including how to turn commitment into action to achieve the Global Goal of Zero Hunger; water scarcity, food security and a changing climate in the Near East and North Africa; sustainable solutions to prevent famine in conflict-affected countries; an action plan on food security and nutrition for Small Island Developing States; and the role of rural development in mitigating pressures that drive migration. This year around 1,000 participants are expected to attend, including 70 Ministers, 15 Deputy Ministers and one President. The session takes place over 6 days during which around 20 side events will be held, FAO informs. FAO has 194 Member States plus one Member Organization, the European Union, and two Associate Members, The Faroe Islands and Tokelau.